San Francisco, 1906: Fifteen-year-old Mercy Wong is determined to break from the poverty in Chinatown, and an education at St. Clare’s School for Girls is her best hope. Although St. Clare’s is off-limits to all but the wealthiest white girls, Mercy gains admittance through a mix of cunning and a little bribery, only to discover that getting in was the easiest part. Not to be undone by a bunch of spoiled heiresses, Mercy stands strong—until disaster strikes. On April 18, an historic earthquake rocks San Francisco, destroying Mercy’s home and school. With martial law in effect, she is forced to wait with her classmates for their families in a temporary park encampment. Mercy can’t sit by while they wait for the Army to bring help. Fires might rage, and the city may be in shambles, yet Mercy still has the ‘bossy’ cheeks that mark her as someone who gets things done. But what can one teenaged girl do to heal so many suffering in her broken city? When I read that a book is a work of historical fiction about overcoming a massive tragedy like the 1906 San Francisco Earthquake, I don’t immediately jump to pick up the book. I worried about the suffering and sadness. I worried it may be too gruesome. I worried I may come out of the book feeling worse off than before. But in the hands of Stacey Lee, this book transcends its classification. It breaks through the tropes of ‘strong girl defying the odds’ and gives us the one and only Mercy Wong. Mercy Wong is a driven, independent, rational, future-CEO cloaked in her Chinese culture and superstition, bossy cheeks and all. It’s important to understand the context of her growing up within American Culture as a first generation American, daughter of 2 Chinese parents. She experiences Chinese mysticism and superstition at home, but combines it with gold old American ingenuity to try and shape the world to what she thinks she should be. She experiences racism and exclusion first-hand and tries to make her place in the world that doesn’t seem to want her. Through Lee’s unique story-telling you can literally see how the outside world molds Mercy’s thoughts and actions. But Mercy isn’t the only strength of this story. She has regular problems, just like every other girl and the themes that surround her sink like the roots of a tree to create a beautiful story. She balances her family, the structural poverty they live in, along with striving to get educated so she can fulfill her life goals. She is an amazing older sister to Jack. She has Tom and the entire neighborhood of Chinatown to wander in. As the story progresses, Mercy learns the strength from forming friendships, and how unity and charity have the power to transform a person and an entire situation. 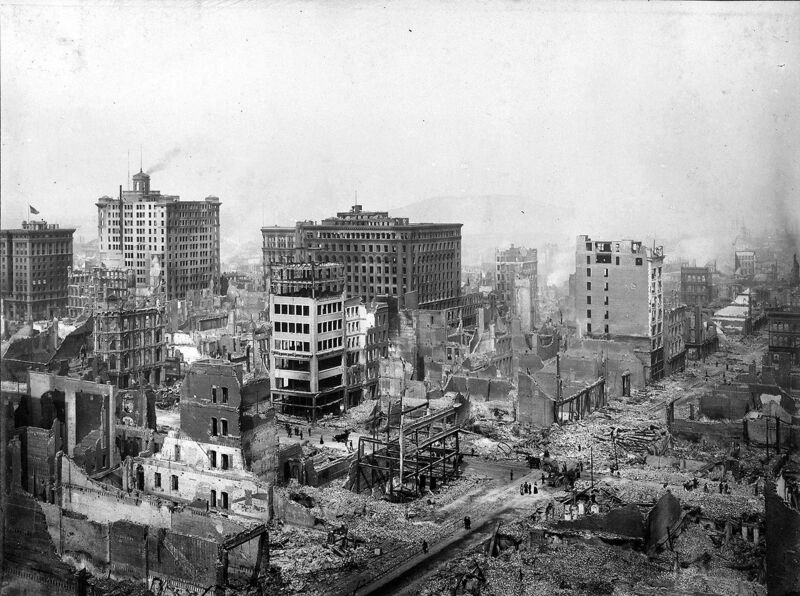 As a history major, I would also like to point out that the care with which Stacey Lee approached the creation of the historical context of pre- and post- 1906 earthquake San Francisco absolutely astonished me. I could literally imagine myself running up and down the streets, avoiding streetcars, along with the smells and sounds of this bustling turn-of-the-century city. Her research really paid off in creating a realistic and palpable backdrop that was just as vivid as any of other other characters. For teachers and students alike, Lee includes a very cheeky Second Author’s Note that helps place the fiction within the historical context. Judge a Book by its Cover: The cover of this novel is not only gorgeous, but it embodies everything Mercy works so tirelessly for in the novel–the break from the binds of poverty– and regardless of the outcome, still looking up and full of hope. Me Talk Pretty: Because this is Mercy Wong’s San Francisco and all the other characters are just living in it, this story is told 100% from Mercy’s perspective. It is told with joyous prose and from such an interesting perspective. Stacey Lee has a way with words, a way of turning a phrase that is so distinctively Chinese that I found myself laughing out loud with her biting wit or nodding my head to that the bit of Chinese proverb I’d never heard. It was a feeling that I think Mercy and her family would have felt and that helped engross me even further into the book. Because we received an ARC for review, these may not be final quotes, but below are some of my favorites. Body Count: Thousands died in the earthquake. The city was laid to waste and burned for 4 days. Mercy’s body count = 0, thankfully. Don’t Believe the Hype: This tome marks Stacey Lee is a YA force and a must-read author for me. The first thing I did when I reviewed her bio was check out Under a Painted Sky from the library. After this experience of family, friendship and tragedy, I can not wait to pick this one up and see how she applies these themes to Missouri, 1849. Finally, mark your calendars for December 27, 2016, when Lee’s first contemporary YA novel, The Secret of a Heart note will be released. 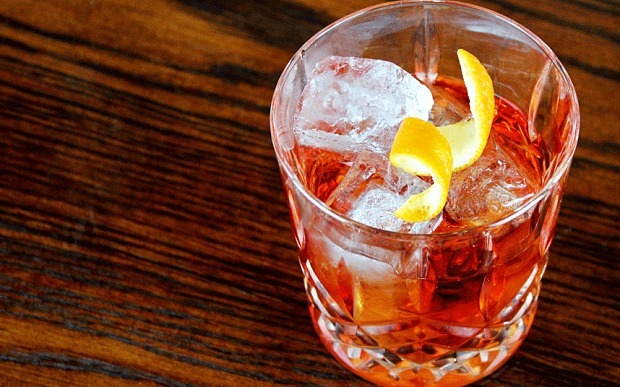 Open tab/Last call: We’ll have a Chinese Negroni or two or three with Stacey Lee and will most definitely keep the tab open. Outrun the Moon will be available on May 24, 2016 from G.P. Putnam’s Sons Books for Young Readers, 400 pages. You can pre-order your copy here.